I’ve written before on the technological “leapfrogging” that will spread renewable energy like wildfire in among the rural third world poor – just like the cell phone revolution vaulted billions into the technological age without the intermediate step of building huge, expensive and unwieldy networks of transmission wires. The comparison with old style central power plants and 21st century solar and wind is more than apt. SOLAR power has always had a reputation for being expensive, but not for much longer. 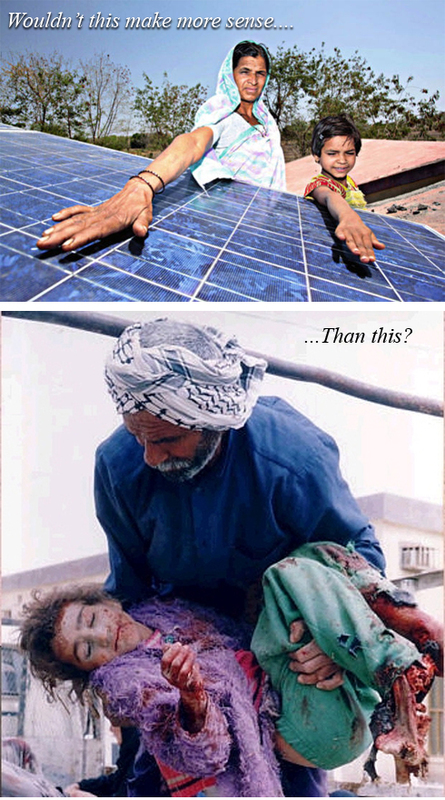 In India, electricity from solar is now cheaper than that from diesel generators. The news – which will boost India’s “Solar Mission” to install 20,000 megawatts of solar power by 2022 – could have implications for other developing nations too. Recent figures from market analysts Bloomberg New Energy Finance (BNEF)show that the price of solar panels fell by almost 50 per cent in 2011. They are now just one-quarter of what they were in 2008. That makes them a cost-effective option for many people in developing countries. A quarter of people in India do not have access to electricity, according to the International Energy Agency’s 2011 World Energy Outlook report. Those who are connected to the national grid experience frequent blackouts. To cope, many homes and factories install diesel generators. But this comes at a cost. Not only does burning diesel produce carbon dioxide, contributing to climate change, the fumes produced have been linked to health problems from respiratory and heart disease to cancer. Now the generators could be on their way out. In India, electricity from solar supplied to the grid has fallen to just 8.78 rupees per kilowatt-hour compared with 17 rupees for diesel. The drop has little to do with improvements in thenotoriously poor efficiency of solar panels: industrial panels still only convert15 to 18 per cent of the energy they receive into electricity. But they are now much cheaper to produce, so inefficiency is no longer a major sticking point. New Delhi, London and New York, 2 February 2012 – Clean energy investments in India reached $10.3bn in 2011, some 52% higher than the $6.8bn invested in 2010. This was the highest growth figure of any significant economy in the world. There is plenty of room for further expansion – in 2011, India accounted for 4% of global investment in clean energy. The large growth was driven by a seven-fold increase in funding for grid-connected solar projects: from $0.6bn in 2010 to $4.2bn in 2011. Solar almost reached the same level of investments as wind, which totalled $4.6bn. From Thailand’s aggressive solar targets to Israel’s solar fields, the international push for mainstream solar power generation is well and truly on. But it’s not just about showy projects and utility-scale solar power plants. Solar also offers the promise of decentralized supply, and putting power in the hands of those who have traditionally been left out of the equation. In India, many rural, economically disadvantaged communities are giving up on the grid, and turning to the sun instead. “With kerosene, you have to carry the lamp around wherever you go. The light is dim, and smoke fills the room and spoils the paint,” said Babu Gowda, a sprightly 59-year-old. He finally decided on solar after losing his dog to a tiger from the neighboring national park. Now light from his home wards off predators. 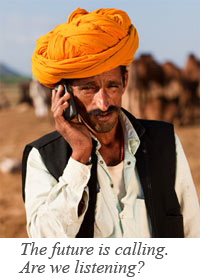 What’s predicted for India’s solar market is not unlike the recent explosion in cell phones, as villagers and slum-dwellers alike embraced mobile technology over lumbering landline connections. 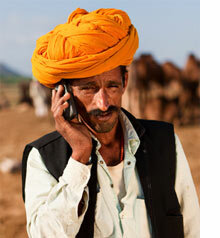 There is now at least one mobile phone link for every two people in the country. actually, I think we all need to see it. I agree there is a new holocaust happening in th middle east that should never be forgotten, or ignored. The recommended reading list (see link above and scroll down) reads like a who’s who of climate nutjobs: Unbelievably, this list includes the WSJ Sixteen article, a brand-new 2nd edition of James Delingpole’s Watermelons (in which he dares to suggest environmentalists are “stealing your children’s future” [reality inversion alert!]) and, in the context of this post, an item by Sam Aire in the UK’s (usually-reliably pro-environment) Guardian newspaper, entitled “Five reasons the ‘green deal’ policy on energy saving won’t work”. So, if anyone is short of misinformation they would like to defeat, you now have plenty of ideas. Sorry about the missing ““, is there any chance of it being fixed? Thanks Peter! Now you can delete all three of my superfluous comments (i.e. including this?) too!